@ 7:30 p.m. sharp! Please arrive on time to avoid disappointment as strict guest list will be enforced. 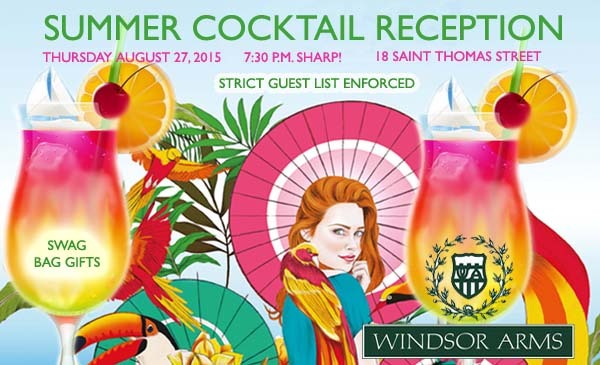 SPECIAL ANNOUNCEMENT – In celebration of summer and 3 successful years of staging our events we are hosting an member appreciation event in the ever exclusive Windsor Arms Hotel. 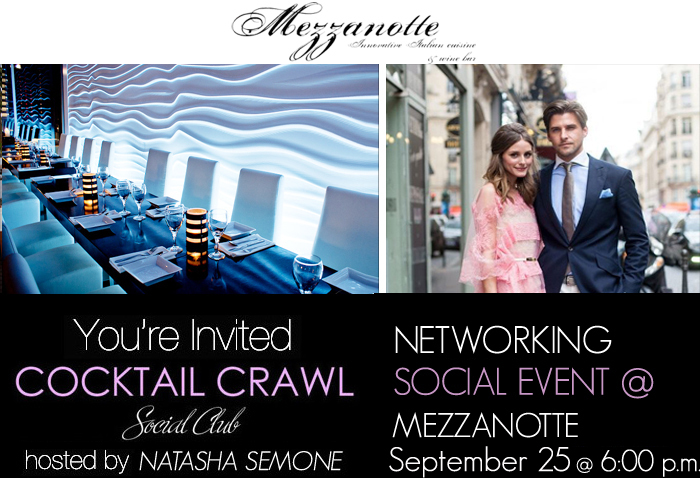 Come and enjoy an evening of upscale networking and socializing over a cocktail with some of Toronto’s prominent urban professionals from all industries and sectors. 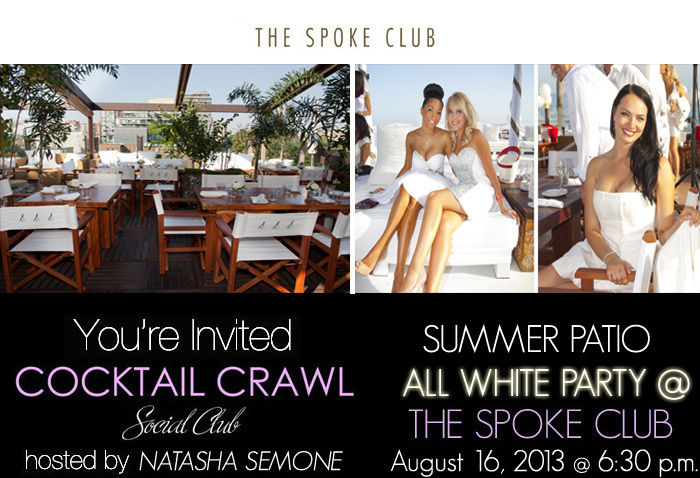 No cover charge – this is a complimentary invitation, upscale attire is required. 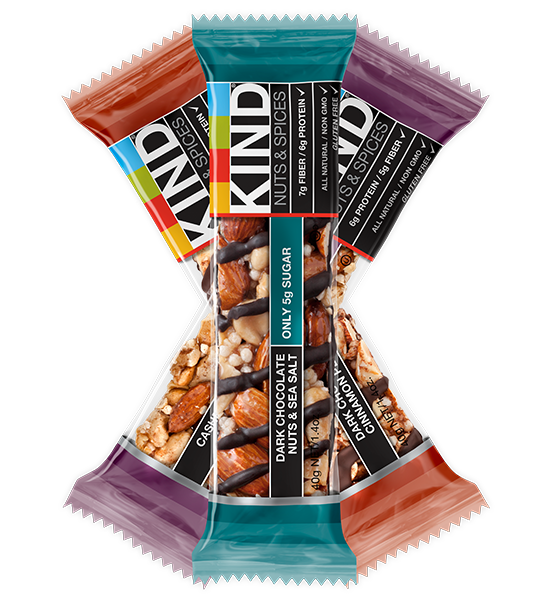 Guests attending this event will receive complimentary swag bag gifts. 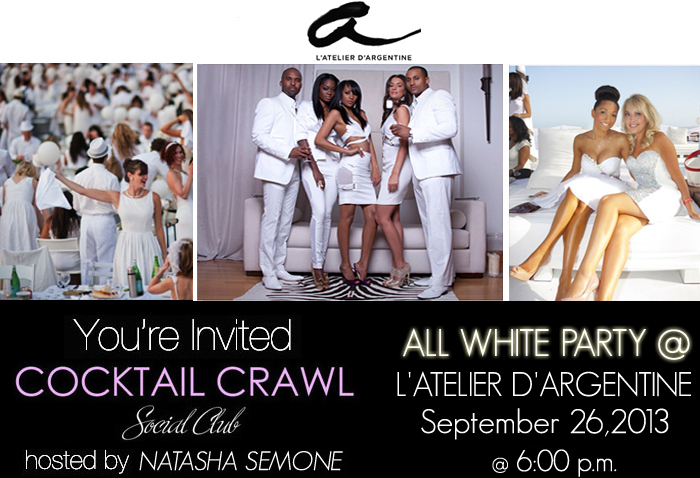 We cordially invite you and your guests to RSVP. We kindly ask invited guests and members to please arrive promptly for 7:30 p.m. to avoid disappointment. We strongly encourage business professional guests between the ages of 30-55 to network and socialize to let others know about your business, product or service. We would like to thank all guests who attended our Spring Fashion Show event. Photos from this event can be viewed through our Facebook page or through this link. Stay tuned for our next fashion show announcement scheduled for early November. Please Note: We want to remind you that our events have limited space so it is important to RSVP respectfully and responsibly. Guests who RSVP and do not show up to the event prevent other members from attending and generate the wrong head count for the venue, which reflects negatively on our social club. Please be considerate to all parties involved and RSVP only if you are committed to attending this event or purchase an advanced ticket through the links provided in this invite!